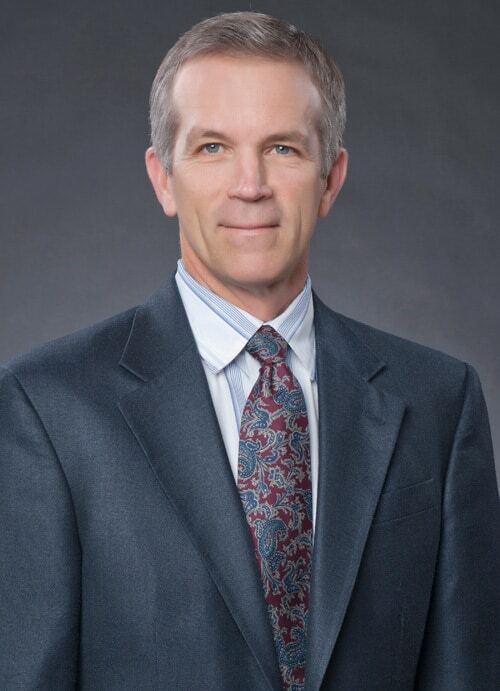 Dr. Paul Humphrey joined Columbia Surgical Associates in 1993, and has since established himself and his partners as leaders in endovascular surgical techniques. In 1999, he performed the first repair of an abdominal aortic aneurysm in Mid-Missouri using an FDA-approved stent. Since then, the endovascular program at Boone Hospital Center has grown to become one of the leading sites for this type of surgery in the Midwest. A large part of his practice involves minimally invasive endovascular procedures to treat peripheral arterial disease. Endovenous laser therapy (EVLT) for varicose veins is performed by Dr. Humphrey as an office-based procedure. Dr. Humphrey and his partners are recognized experts in this continuously evolving field of minimally invasive arterial and venous procedures.